Logins this hour: 3912 ? For over 15 years, AMiON has been the most popular, cost-effective service for standardizing schedules across an institution. Here's why. 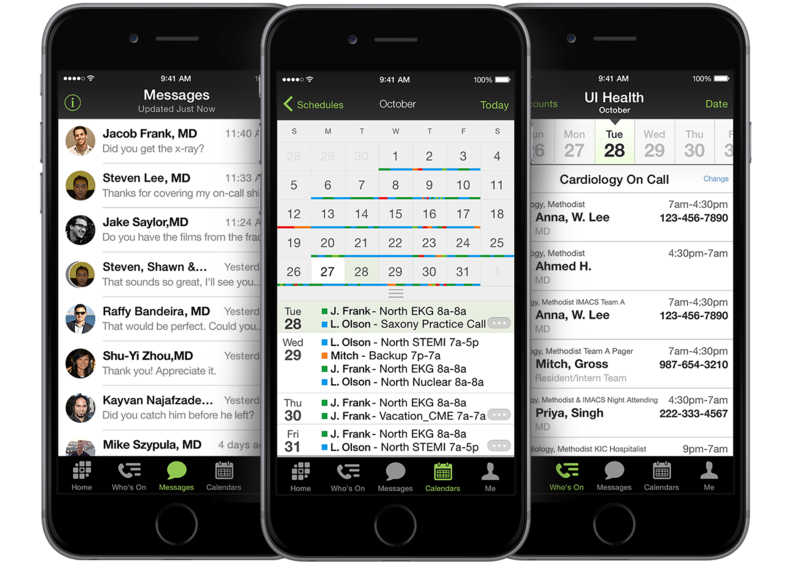 AMiON blends sophisticated physician scheduling with secure messaging into one convenient and simple-to-use platform for your entire hospital or healthcare system. You can pay a lot more for fully automated, rule-based scheduling, but highly complex applications don't always scale well to an entire hospital. Plus, there's no need to automate the many smaller, simple schedules. At the other extreme a basic calendar sometimes comes as a module with a paging/messaging application. Simple calendars offer no assistance in managing schedules and will hold transcribed copies of each group's assignments. If you're maintaining two copies of a schedule, changes won't always make it to one or the other. 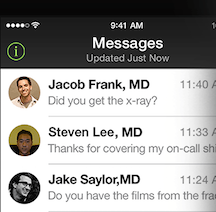 AMiON's integrated secure texting is HIPAA secure which means we offer a safe and secure communication environment through our partner Doximity. With the AMiON you can also swap in third-party messaging from other dedicated messaging and secure communication systems such as TigerText, Imprivata Cortext, Vocera and others. AMiON's competitive price, off-the-shelf convenience, and roots in residency training make AMiON the closest you'll find to an industry standard for medical-provider schedules and the communication that flows through them. No other system comes close to an average cost of $1 per provider per month. With licensing per group at just $349 per year, you can direct your resources to better patient care. We've been working on AMiON since the late 1990s. Mention "AM i ON" and you'll find friends everywhere who use it. We have more than 10,000 groups who schedule, over 80,000 people using the mobile app, over 200 hospital networks, and 250,000 individuals in active schedules.